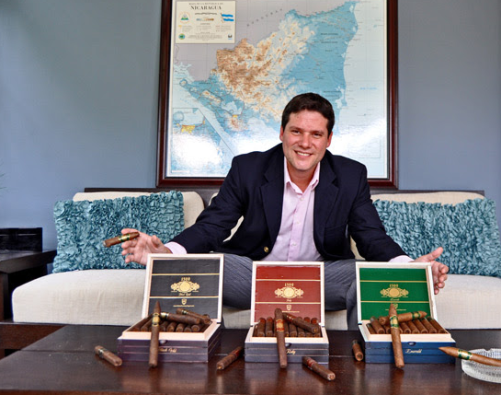 1) Enrique Sánchez Icaza, CEO and Founder of Global Premium Cigars (GPC), has filed a lawsuit in the U.S. District Court for the Southern District of Florida against the Food & Drug Administration (FDA). At at high level, the suit alleges the FDA’s recently announced deeming rules are cost-prohibitive for GPC, a small business known for its 1502 line of cigars. “When I joined this beautiful industry, I promised myself that I would do whatever was necessary to make the cigar industry better, and leave a legacy for my kids to carry on in life,” said Icaza in an email released yesterday. “Today, that dream is in jeopardy due to the FDA’s deeming regulations, and I feel I have the obligation to protect our industry, lifestyle, consumers, clients, friends, and our family from these terrible threats. It’s time for action! Talking belongs in the past… In the few next days, we will be giving you more information in how you can support, and help us with the tools to fight with strength.” GPC’s lawsuit is likely the first of many to be brought by a cigar maker against the FDA. The suit alleges the FDA’s actions violate the Regulatory Flexibility Act, designed to protect small businesses from over-burdensome regulations, and the Administrative Procedure Act, which sets standards that agencies engaged in rule-making must follow, as well as the First and Fifth Amendments of the U.S. Constitution. The suit has been assigned to Judge Darrin P. Gayles, an Obama nominee. 2) Davidoff is expanding its Brazilian-inspired Escurio line by adding new sizes, including a Corona Gorda (6 x 46), Gran Perfecto (5 x 60/51), Primeros (4.25 x 38), and Mini Cigarillos (3.3 x 20). Escurio was launched in 2015 with three sizes that feature an Ecuadorian Habano-seed wrapper, a Brazilian Cubra binder, and a filler blend that includes Mata Fina and Cubra tobaccos from Brazil paired with Dominican leaves. Several years prior, the Davidoff Nicaragua blend marked Davidoff’s first departure from its Dominican roots. 3) Inside the Industry: This week Camacho announced the details of its 2016 Liberty Series limited edition cigar, set to be released tomorrow. According to the announcement, “the core of 2016’s edition are two high-octane Ligero tobaccos from Mexico and Nicaragua, making up over half of the tri-country filler blend… Combined with two Seco tobaccos from Nicaragua and the Dominican Republic for added complexity, the 2016 Liberty displays the perfect balance of intensity and finesse.” The cigar sells for $18 and will be the first Camacho Liberty release to also be distributed to Europe. 4) From the Archives: Introducing cigars to someone who hasn’t tried them before, or only smokes them on extremely rare occasions? Check out this helpful article from 2010: Five Rules for Introducing Someone to Cigars. The tip provides a few easy-to-follow suggestions, but also makes the important point that smoking a cigar is meant to be an enjoyable experience. Overwhelming a newbie with too many rules will detract from the goal of an enjoyable, relaxing experience. 5) Deal of the Week: StogieGuys.com recommends Bespoke Post, a monthly collection of awesome items delivered to your door for just $55. Past boxes include barbecue accessories, shaving kits, everything you need to make great coffee, and exclusive cigars from E.P. Carrillo paired with custom accessories. You can select a box each month or skip the month entirely. Click here to sign up today. Would it be better or worse for the industry overall if the various legal challenges were consolidated into one huge class action suit? Or is it preferable that each cigar manufacturer file its own suit? Either way, good on GPC for getting the ball rolling. Time for action! The complaint contains facts that are specific to GPC so a class action doesn’t work here, nor would it necessarily be adventagous. That said, if they prevail, others could file suit in the same jurisdiction and piggy back on the same win, especially if the judge issues an injunction against the FDA. Also, if there are other suits making different claims and/or in other Federal Circuits of Appeal it offers multiple chances for a good ruling. Generally speaking a party can file suit in the circuit where they do business (like GPC in the 11th which includes Florida) or in the DC Circuit since that is where challenges to Administrative Agency actions (like the FDA) can always be filed. In terms of friendliness to these claims of government overreach the make up of the 11th circuit is generally considered more favorable than the DC Circuit after Obama’s numerous appointees. Also, and this is very generally speaking, the 5th Circuit (Texas, Louisiana, Mississippi) and 8th Circuit (ND, SD, NE, MN, IA, MO, AR) would be other places that tend to be more conservative and thus friendlier to business claims against the federal government. I am no attorney, but I do not think these types of lawsuits are the kind that get rolled up into class actions. The first and fifth amendment constitutional challenges are nonstarters, although I appreciate novel legal theories. I wish all the best to Enrique Sanchez! Maybe if everyone in the cigar industry, individually filed a lawsuit against the FDA, we may stand a chance. It’s worth a shot! The Scientology organization took a stand together and did it towards the IRS and won! They are tax exempt.